As one of the leading fine wine agents in Burgundy (representing DRC, Arnaud Ente and Coche-Dury among others), Fabien Duperray knows great wine, and has a good idea how to make it too. 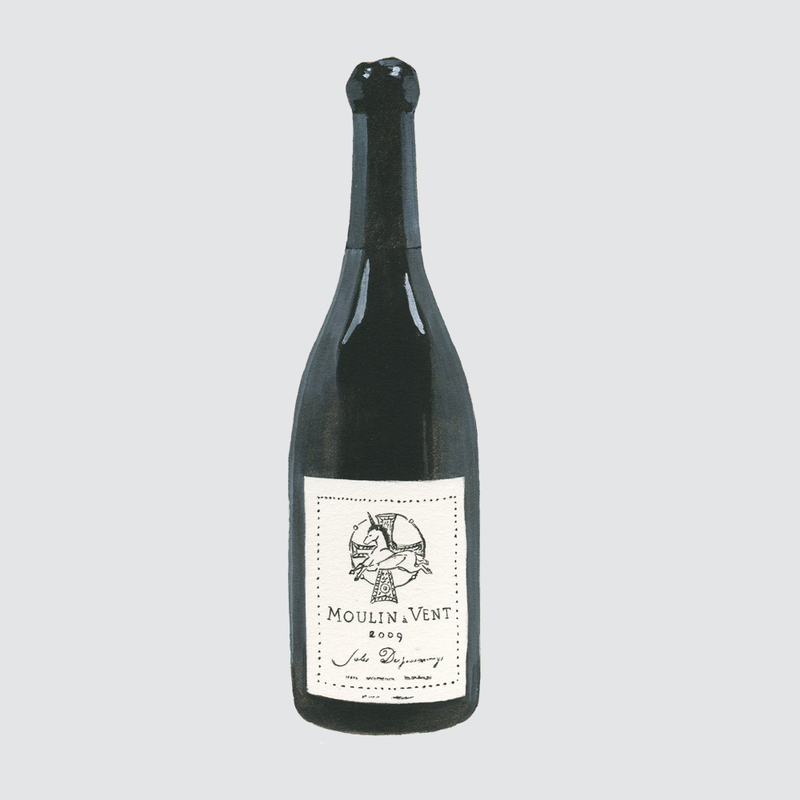 In 2007 he purchased ancient Gamay vineyards in Fleurie and Moulin-à-Vent (some over 140 years), and Chardonnay parcels in a range of Côte Macconais appellations in 2014 (which he shares with Christophe Thibert). 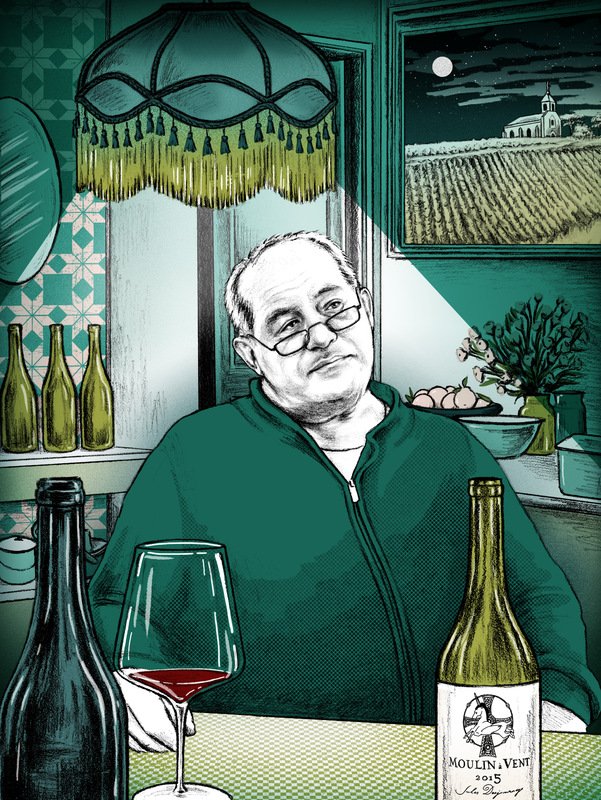 Farming is biodynamic, yields are very low, and his main focus is making the most balanced, age-worthy wines possible – an approach that has inspired a cult following and much critical acclaim. Fabien is a force-of-nature and very confident in his methods, although rather than put his own name on the label he called his domaine ‘Jules Desjourneys’ – Jules after the late, great Beaujolais vigneron Jules Chauvet, and Desjourneys “because I liked how it sounded next to Jules”. Recent experiments have led to the patenting of 200L and 500L glass fermenters that he and friend Arnaud Ente are excited about using, the departure from oak barrels emblematic of his relentless quest for improvement. Reds come from three crus, Chénas, Fleurie and Moulin-à-Vent, with certain parcels (such as Fleurie ‘Chapelle des Bois’) being bottled separately in some years. Older vintages were raised for 24 months in barrel, but Fabien decided that he wanted “more terroir and less François Frères” in the wines, so he has phased out oak in favour of steel and glass (with 2015 being the first completely unoaked vintage). Whites hail from Macon-Verzé, St-Veran and three of the Pouillys (Loché, Vinzelles and Fuissé) and are all made in tank with the exception of the Pouilly-Fuissé and Pouilly-Fuissé ‘Vignes Blanches’, which are both vinified using what Fabien calls “the Coche method”. These wines are built with the harmony and quality to age for the long-term, but – like the top quality red and white Burgundies that they call to mind – there is a drinkability to them that makes it difficult to resist pulling their corks immediately. This is a domaine which, stylistically and qualitatively, is already in the top echelon of Beaujolais and Côte Maconnais producers. IIlustration of Fabien by Jennifer Dionisio.